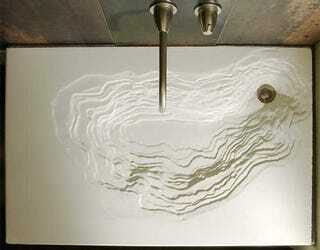 The Erosion Sink combines the latest in sink-related technology with the aesthetics of topographical maps to give you a unique and badass looking sink for your modern bathroom. Seriously, if I had one of these things I would spend a lot more time washing my hands. No pricing info available, but it's safe to assume that this is a tad bit pricier than anything you can pick up at Home Depot.